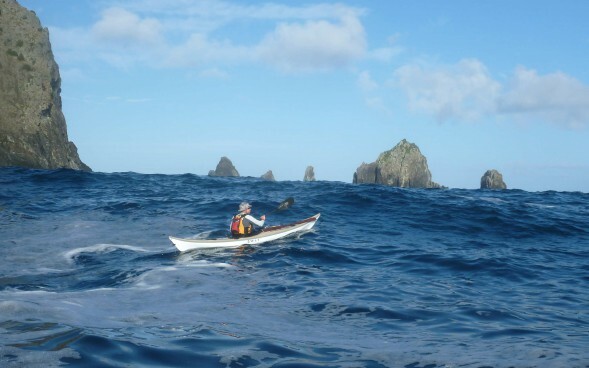 Coach Ginni Callahan and New Zealand Sea Kayak Adventures invite you on this paddling adventure to a very special island. 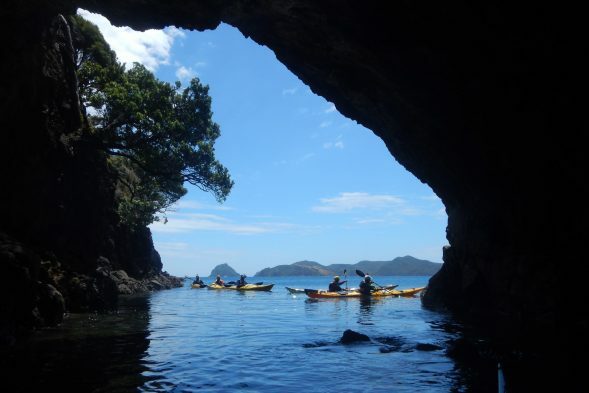 Located off the east coast of Northland’s Hauraki Gulf, the Great Barrier Island is a Holy Grail of Kiwi sea kayaking. Combine excitement, exploration, history, culture, and rural relaxation. 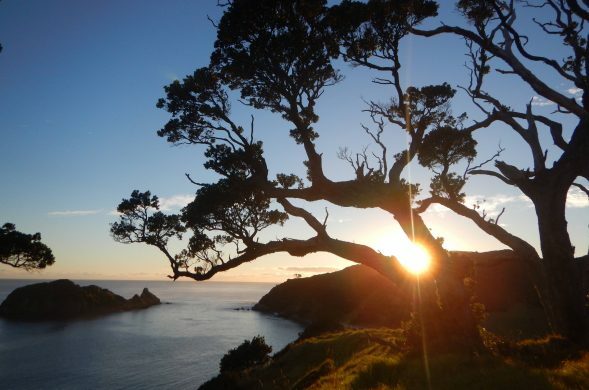 The Barrier, as locals call it, protects the Hauraki Gulf (and Auckland, New Zealand) from the whimsey of the Pacific Ocean. 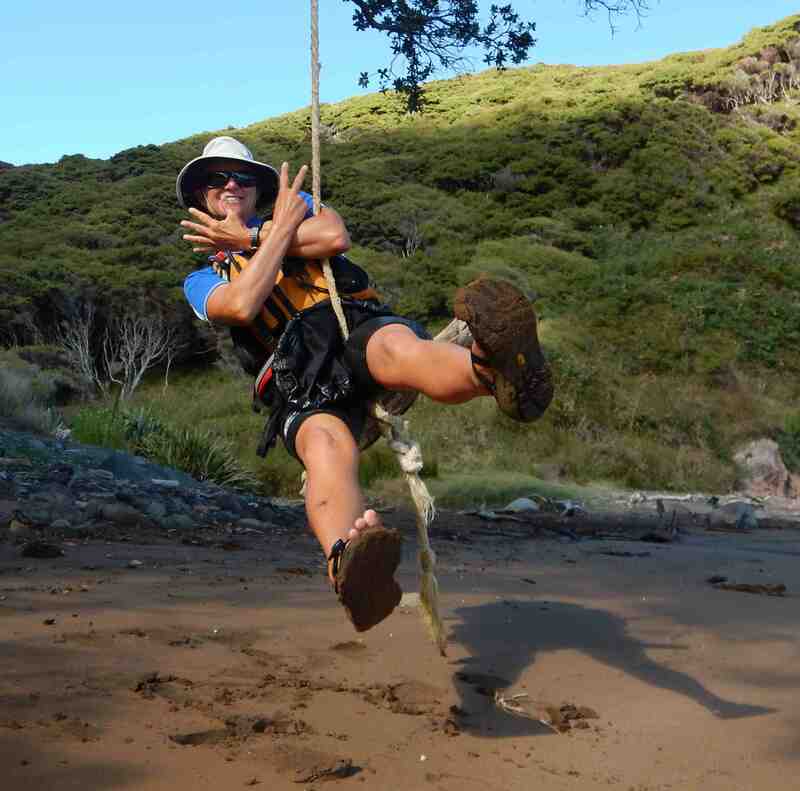 It attracts New Zealand tourists for outdoor pursuits, particularly camping, trekking, and nature observation. Surfing is popular on the east side of the island, while boaters enjoy extensive bays and islets on the protected west side. 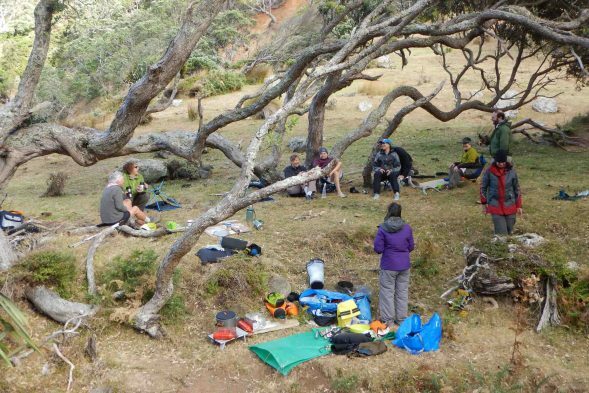 Our plan is to explore its 100+nm perimeter in 12 days, which leaves time to explore offshore islets, walk some trails, thoroughly explore the Broken Islands, indulge in the irresistible rock-hopping along the way, enjoy regional and endemic birds such as kaka, weka, shag, variable oystercatcher, tui, kereru, and the rare but locally friendly pateke, and wait for good weather to round the committing north and south points. 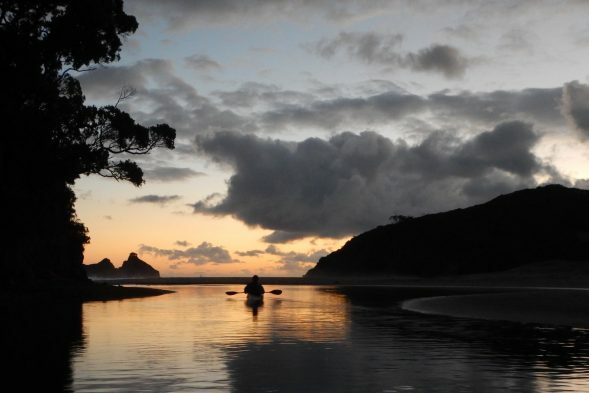 With the 5-hour ferry ride out and back before and after our paddling days, our time away from Auckland will total 14 days. 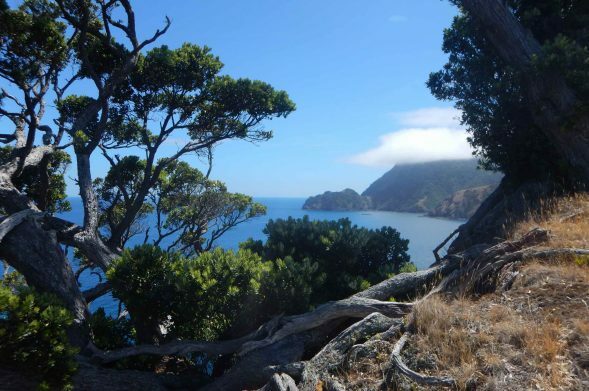 Mount Hobson, 621 meters high, attracts the rare black petrel to nest on its slopes. 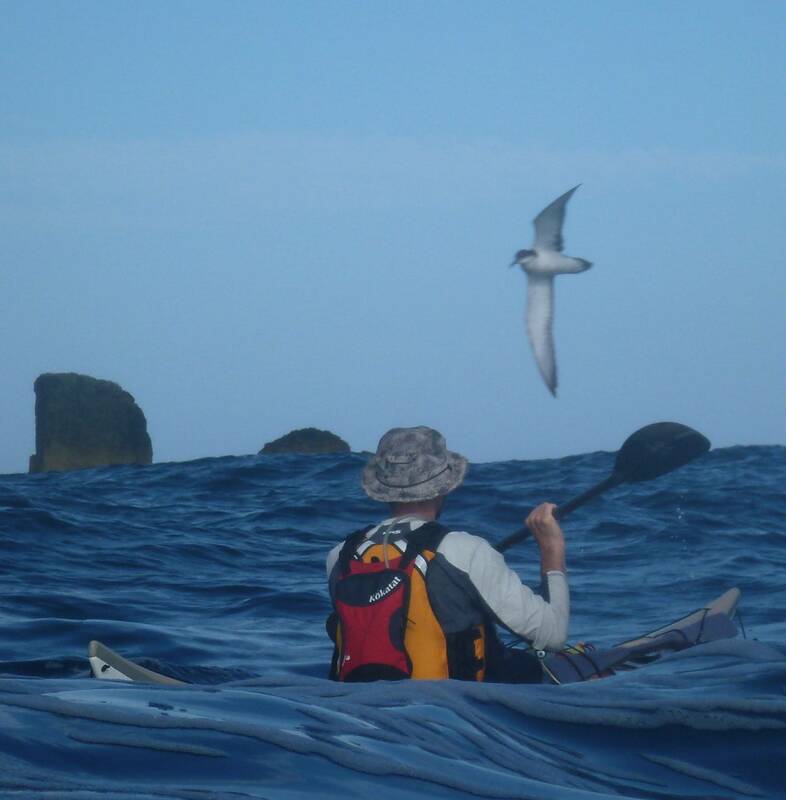 Little blue penguins swim around the kayaks on occasion, and dolphins are commonly seen on the west side. Ginni Callahan and partner Henrick Lindström paddled the island in 2015 and fell in love with it. Ginni and Bonnie Perry led a trip to the Barrier in 2017, one that took in not only the charm and beauty of the place, but also a touch of southern hemisphere weather, and a generous dose of island resourcefulness. For photos from this trip, please see the Barrier Trip Photos. 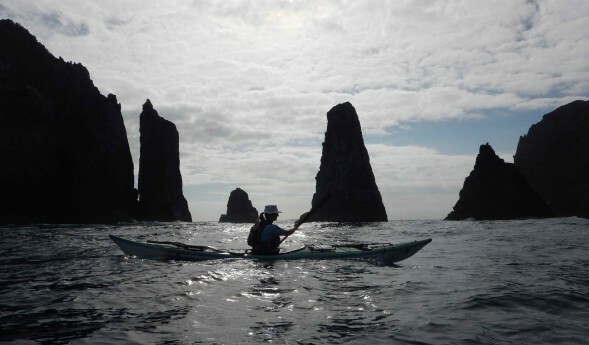 For articles on decision-making framed by this trip, see Ocean Paddler Magazine, issues 58-61. 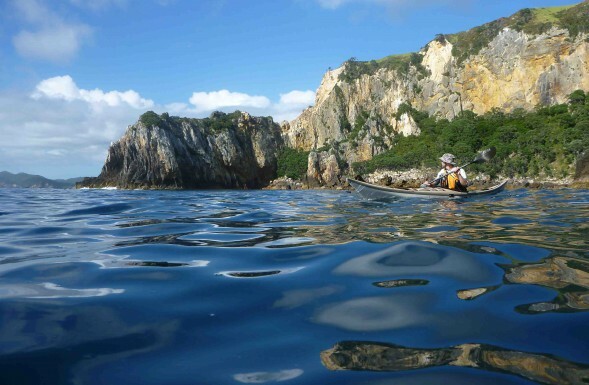 Our primary purpose on this trip is to enjoy exploring GBI with a team of skilled paddlers. 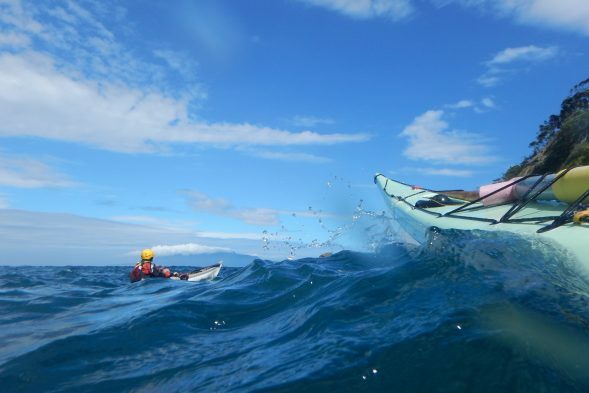 British Canoeing Sea Leader Training credit is also available—please communicate interest in advance. 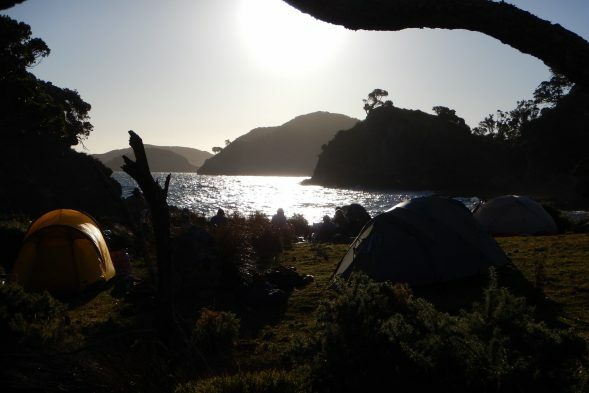 This trip is pitched to the solid British Canoeing 3-star sea paddler or above, who are also agile and fit for walking and carrying kayaks and kit over cobble, mud, and sandy beaches. 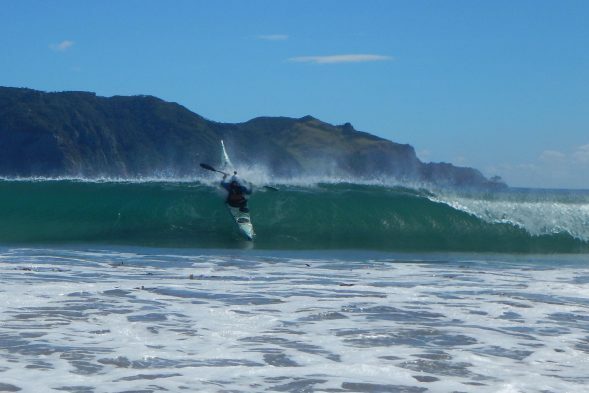 While there are relaxing sections to paddle, Cape Barrier, The Needles, and a few other exposed sections can be demanding, and the wind and swell occasionally remind us who is really in charge. Good-natured team players are invited and deeply appreciated! 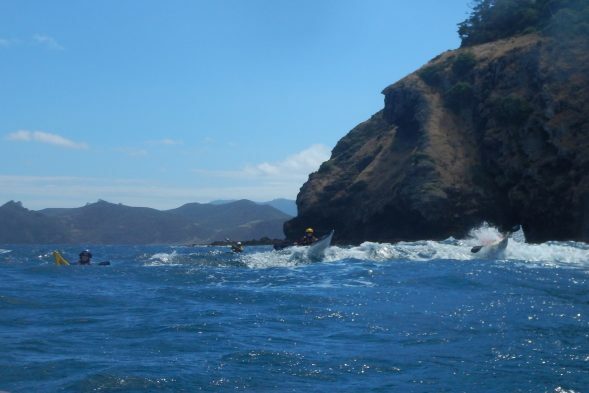 New Zealand Sea Kayak Adventures’ new owner Magnus O’Grady and longtime guide Dave Ramsey provide the local logistics and kayaks for this adventure. Most of the kayaks are Australian designed Q-Kayak Skuas, polyethylene sea kayaks with rudders. It’s a solid model, well loved and well tested by rock-hopping enthusiasts who abound in New Zealand sea kayaking culture! 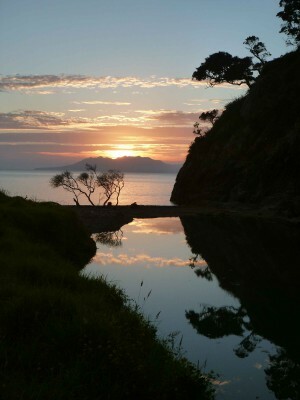 February is the end of summer in New Zealand. The water is still warm. 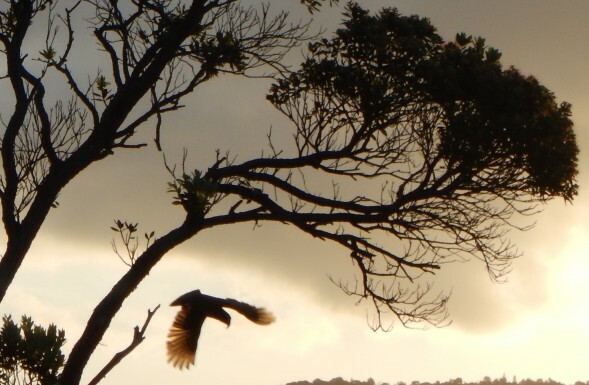 It’s a perfect time to experience this remote part of the world.